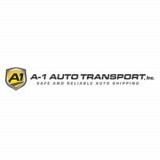 A-1 Auto Transport, Inc. has been the leader in auto, motorcycle, boat, RV and freight shipping services for over 30 years. Shipping both domestically and internationally, there is not a shipment that we cannot handle! Get a free quote for shipping car, truck, SUV, van, motorcycle or other vehicle by visiting our website or giving us a call today.